Congratulations to this year's winners of Jailbreak, making it all the way to Stockholm in Sweden. 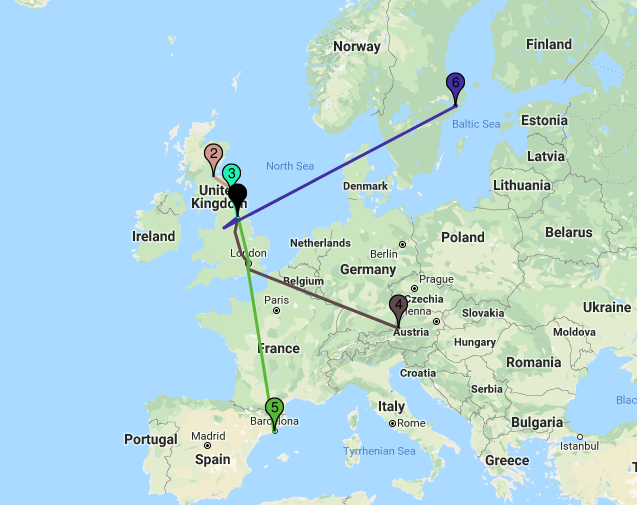 All of our teams made it out of Yorkshire, to Newcastle and Edinburgh, and 3 teams made it out of the country, heading to Barcelona, Salzburg and Stockholm. The rules of Jailbreak were simple. Teams set off from The Glasshouse on Friday of Week 10, and had 30 hours to escape York, trying to get as far away as they could without spending any money of their own. YUSU would like to say a huge well done on those who took part in this year's Jailbreak, and a massive thank you to the YUSU RAG team for organising the event, and staying in Jailbreak HQ. Alongside all of this, teams to date have raised almost £3000 for our partner charity: the Meningitis Research Foundation. Follow this link to see the tracking.